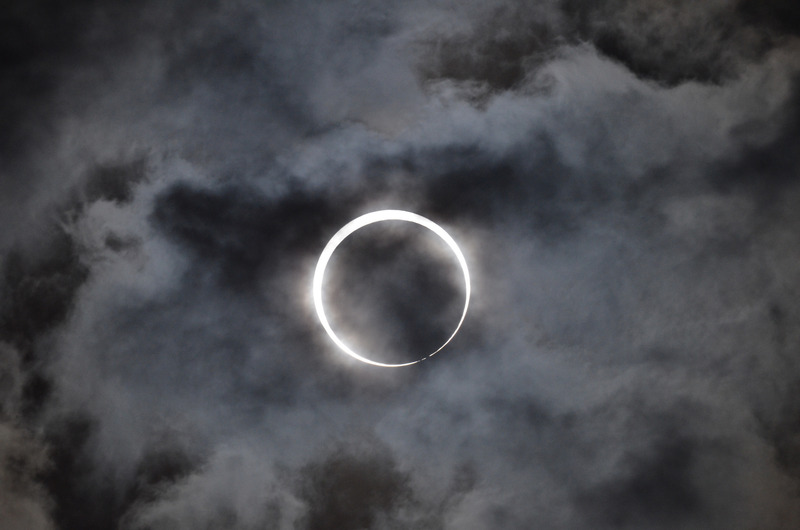 A solar eclipse peaks from behind a field of clouds. From a distance it looks a little like a cartoon eye in the sky. This Biofriendly image of the day shows the beauty and wonder of nature beyond within and beyond our own atmosphere. Image by Takeshi Kuboki | Used with permission via the Creative Commons Attribution 2.0 Generic license.